Southern Spain, Morocco, Algeria, Tunisia, Libya, Egypt, Syria, Israel, Iraq, Iran, North West India, Turkestan, Azerbaijan, Turkmenistan, Uzbekistan, Kazakhstan and West China. Winters in West Africa, Iran, Pakistan and India. 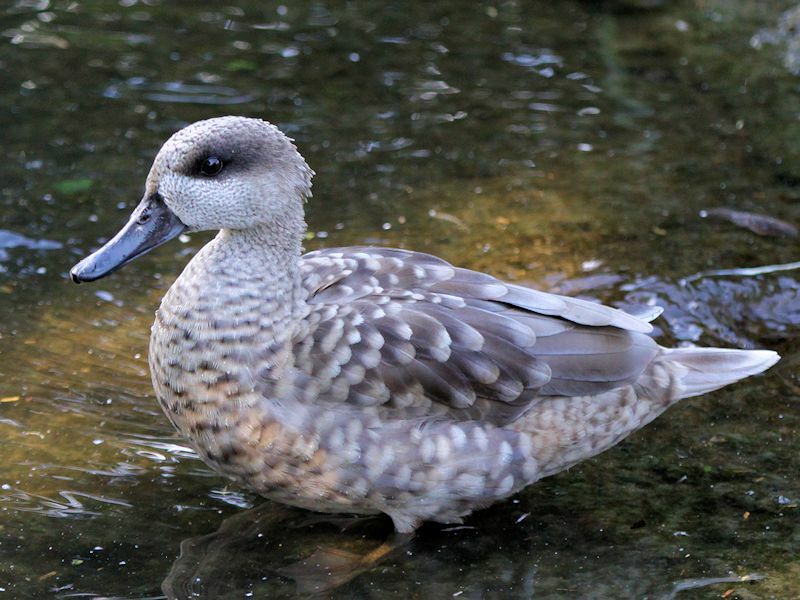 The male has Sandy Brown plumage with ‘marbled’ White markings, a dark eye patch which extends to the back of the neck, Brown eyes and a Dark Grey bill and a short crest at the back of the head. The legs are Olive Brown with Blackish feet. 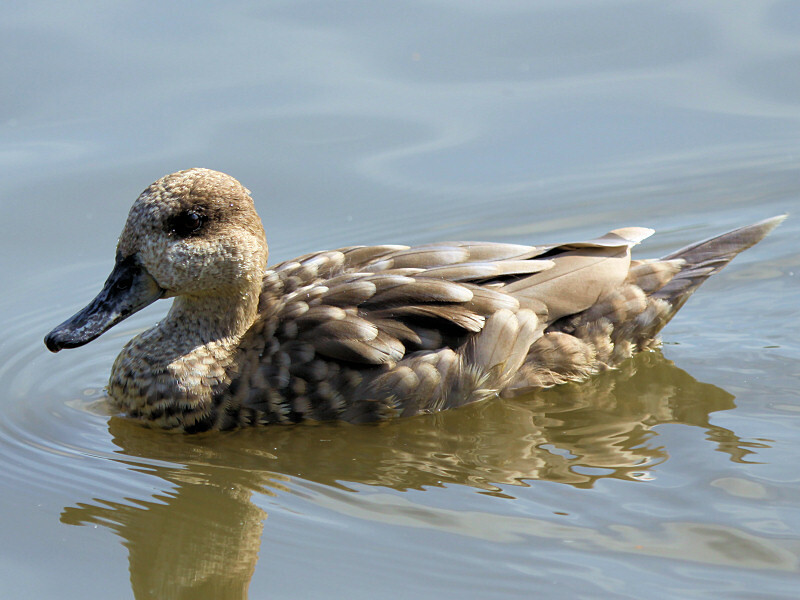 Wetlands, Marshes, shallow Waters and swampy Lakes. 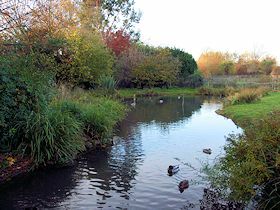 Aquatics Plants, Insects and Seeds. 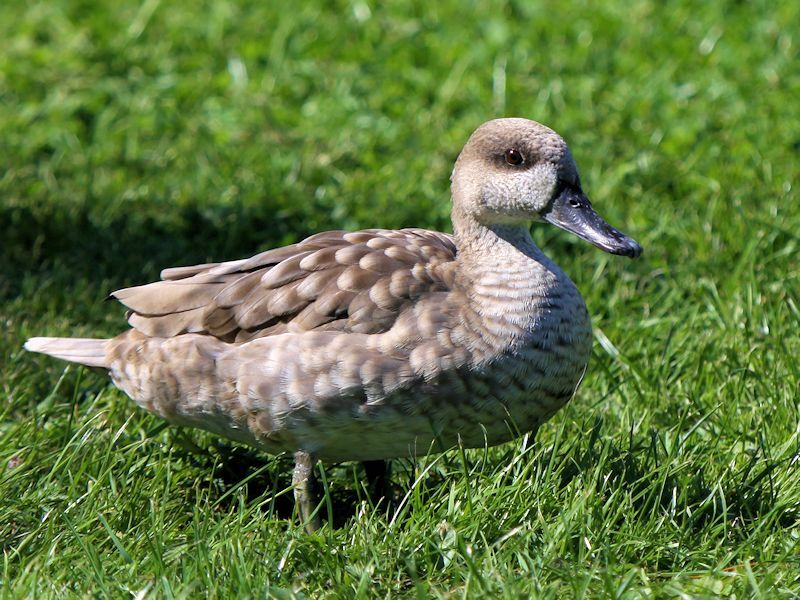 Their nest is built in long grass or in high trees. 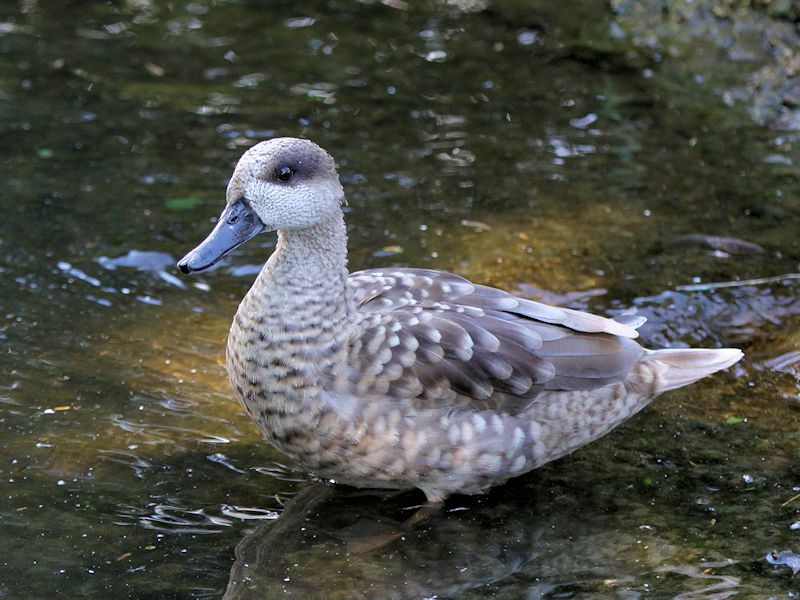 The Marbled Teal or Marbled Duck, generally feeds by dabbling but is actually classed as a diving duck. 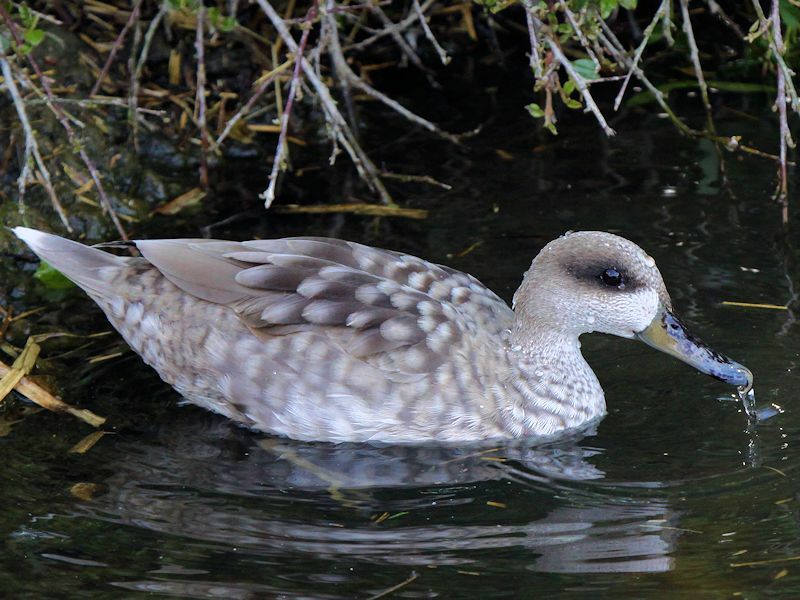 The Marbled Teal are usually seen in pairs or small groups and they form strong pair bonding during the winter before they migrate to the breeding grounds. 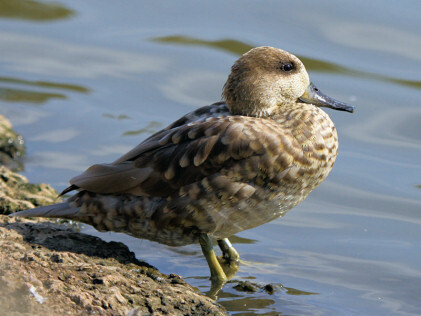 The destruction of habitat combined with hunting has threatened the Marbled Teal and it is currently classed as Vulnerable.